In Tombeaux, players explore a slice of the St. Croix River as it was hundreds of years ago. Dave Beck has created a time machine. Well, not exactly, but the digital artist and University of Wisconsin-Stout game design professor has gotten about as close as possible with his video game, Tombeaux. The game was created as part of the Artist at Pine Needles program, a residency the Science Museum of Minnesota offers in which an artist spends weeks at a cabin along the St. Croix River and creates something based on their experience. “I wanted to tell a story about [the St. Croix River] specifically and how it played a part in the history but also about how it could help us consider the future as well,” Beck says. 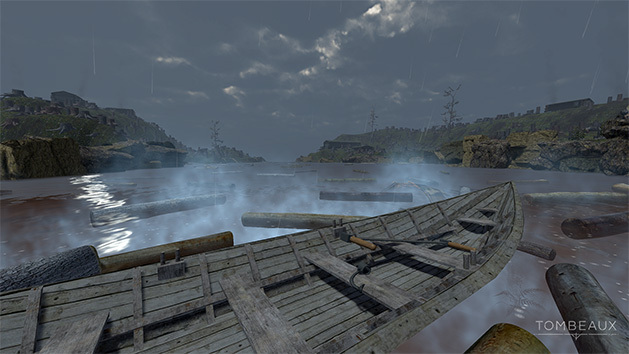 In Tombeaux, players explore a slice of the St. Croix River as it was hundreds of years ago. 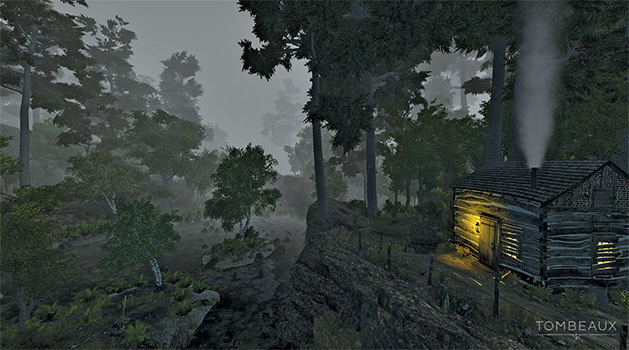 As the game progresses, players investigate the river and a cabin, hearing narration from the main character and interacting with objects in the virtual world. 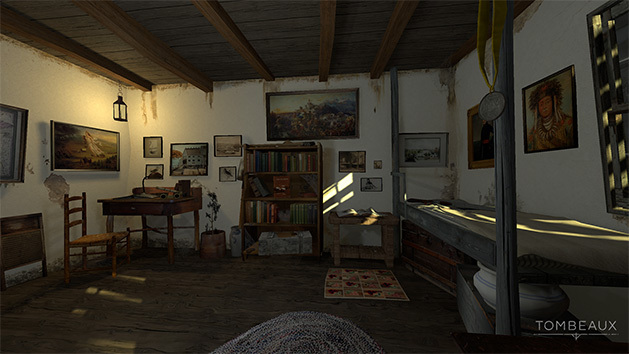 Each time the player enters and exits their cabin, they will notice changes in the game world. While the idea for Tombeaux came only a few years ago, Beck's interest in games goes back a lot longer. “It all started honestly with me as a child,” Beck says. His father worked at IBM—not as a game designer or even a programmer, but as a salesman. He would bring home all sorts of computers and gadgets, and Beck, being a curious young boy, began toying around with them. Equally crucial in Tombeaux's background is Beck’s interest in art. He began working in sculpture, but quickly decided to switch to the digital realm. “It ended up being a little more complex than I wanted,” Beck says. His one-man team grew as he enlisted the help of a programmer named Ben Malone, a musician named Joselyn Fear and a handful of voice actors. All of their work paid off this past fall when Tombeaux was released. It has garnered generally positive reviews on the online game store Steam, and Beck is donating 100 percent of the profits back to the St. Croix Watershed Research Station. For those interested in Tombeaux but not necessarily skilled at video games, Beck stresses that the experience is not necessarily designed for “the typical gamer.” It can be enjoyed by almost anyone with an interest in the history of the St. Croix River. “I knew going into it that I was designing this for a specific crowd,” he says. 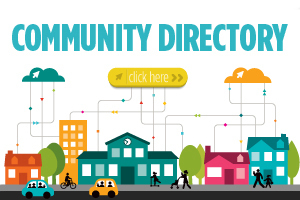 “At the end of the day, I wanted to make this in hopes that maybe there’s teachers that would want to download it for their students to play, in an elementary classroom where they’re learning about local or regional state history. Tombeaux is available for purchase on Steam and itch.io for $4.99.